In my free ebook, 18 Challenges for Teacher in 2018, AI Experimenter is challenge number two. Have you tried to complete the challenges yet? You should! They are a super fun way to dabble in new ideas and tools. Download the FREE ebook here, or take it a step further and take the 18 Challenges online course. The term artificial intelligence, or AI, dates back to the 1950’s but has drastically accelerated in capabilities over the last few years. AI is “usually defined as the science of making computers do things that require intelligence when done by humans,” (alanturning.net). Along with AI, you will also hear the term machine learning, which basically means the ability to teach machines by giving it data that allows the machine to predict your needs and tasks. Artificial intelligence continues to get better and better. We have to get used to talking to our stuff. Machine learning and artificial intelligence are becoming a part of everyday products, and it’s really important to understand the technology that is coming our way, and how it will change education as we know it. If you have never tried AI, now is the time. Or if you have only used it to ask Siri for directions, it’s time to take it a step further. It’s time to experiment with AI in the classroom, showing students how it works, and using some fun tools to create learning! You can find AI in various forms and devices, and it’s nothing new. AI has been around for decades, but the difference is that it has now become more accessible, easy to use, and super smart. Most likely, the smartphone you have in your hand right now has some kind of voice-enabled assistant; whether that is Siri on the iPhone or the Google Assistant on Android, it is designed to help you complete simple tasks and automate your life. But it does go deeper than that. These voice assistants are getting smarter! The stand along smart speakers are beginning to enter the classroom and show us the power that these little devices deliver. The two most popular stand alone, smart speakers are the Google Home/Google Home Mini and the Amazon Echo/Echo Dot (both very affordable). But you don’t have to have one of these devices to experiment with AI. There are lots of web options as well. What is 37 times 414? That’s just the tip of the iceberg. We are now seeing many new ways to not only use AI but to teach it new skills. 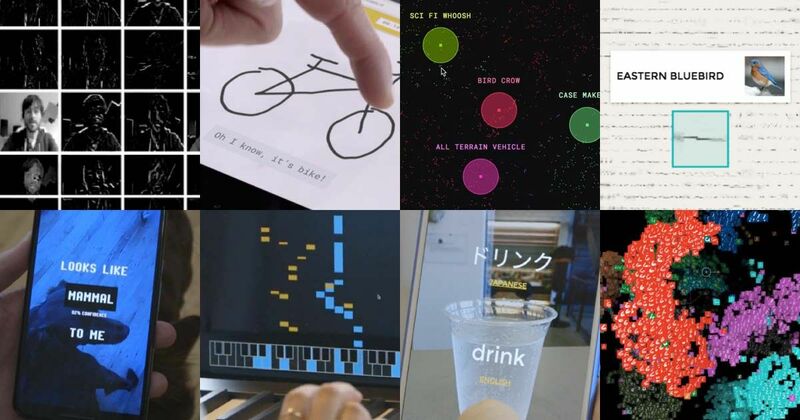 For instance, Google has a site of AI experiments that allow you to play with artificial intelligence and create. Explore this page to play piano duets with AI, try the teachable machine where you and your students can teach your computer new tricks with the camera, or play a game of Quick, Draw. On the computer: Teachable Machine – Explore how machine learning works. Teach a machine using your camera – live in the browser, no coding required. It learns by training and running neural nets right in the browser. Help students better understand machine learning by giving this whirl! Google Home: Mystery Animal: A Voice Experiment, it chooses an animal and plays 20 questions for you to guess what it is. On the computer: Quill Connect: Uses machine learning to help students combine sentences. Aligned with curriculum standards for second through seventh grades. On the Google Home, Story Speaker: Create a choose your own adventure-style story in Google Docs. It’s like you’re coding/creating an AI game run by Google Assistant. Chatbots are computer programs that simulate human conversation using voice or text. The Amazon Echo refers to these as socialbots. 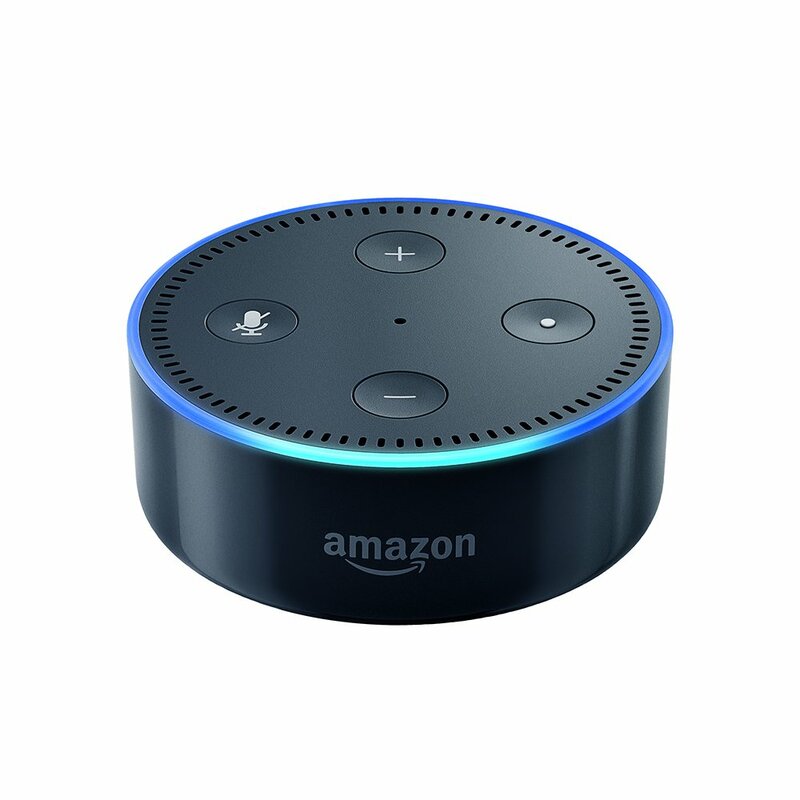 To try, just say, “Alexa, let’s chat, and you can have a conversation with one of the Alexa Prize socialbots. Or check out Amazon Lex to develop your own socialbot, or better yet, let your students become developers! On the Google Home, you can develop your own chatbots for Google, check out Actions for Google. Facebook is also in the chatbot game! Check out this cool little chatbot that was developed by students in a STEAM Academy. Let them play and understand what it is capable of but set meaningful expectations on how it will be used for learning, not just telling jokes. Rotate the use a job/role for the class — The AI Leader of the Day. Are you up for the AI challenge? Try just one of these ideas in your classroom in 2018. Ready to dig into some of these AI ideas? This post is loaded with some simple ways to integrate AI in the classroom. It's easier than you think, and it doesn't require expensive equipment or software. AI or Artifical Intelligence is ready for its closeup! Are you and your students ready to become "AI experimenters."